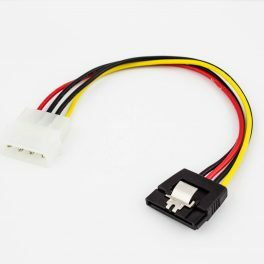 SATA Power Y Cable 2 x Right Angle 15p to AT 4p Male, 10in. 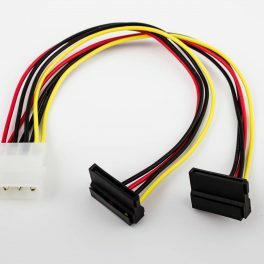 SATA Power Daisy Chain Cable 2 x Right Angle 15p to AT 4p Male, 12in. 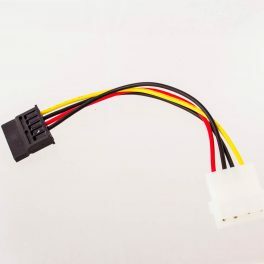 SATA Power Adapter Cable 15p without Latch to AT 4p Male, 6in. 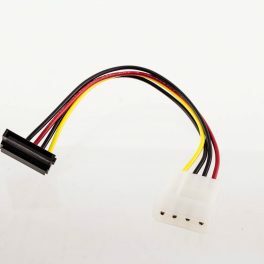 Amphenol Right Angle SATA 15-pin to AT 4-pin Male Power Adapter Cable. 6in. 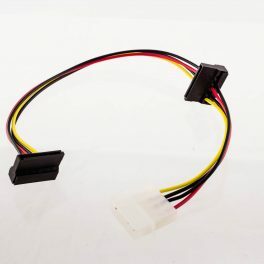 SATA Power Adapter Cable 15p with Latch to AT 4p Male, 8in.